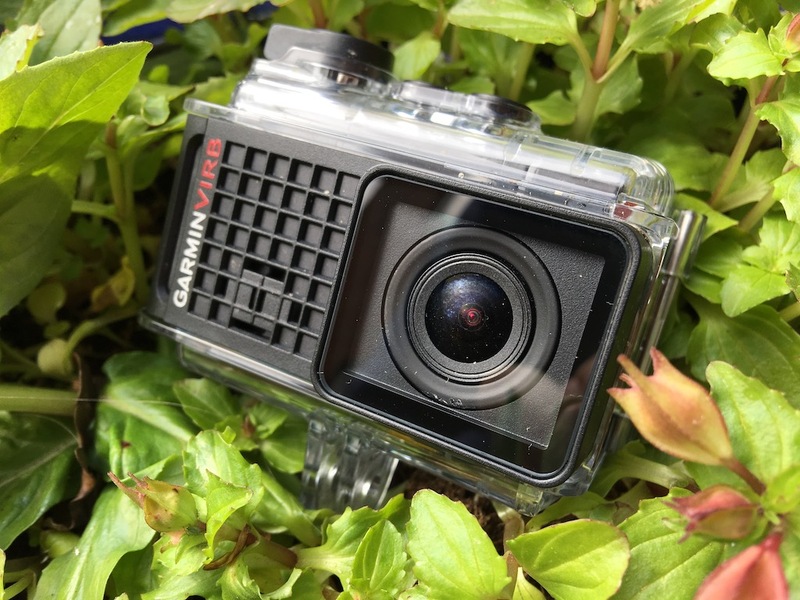 Garmin VIRB Ultra 30 Action Camera Review – Have They Made a GoPro Killer? 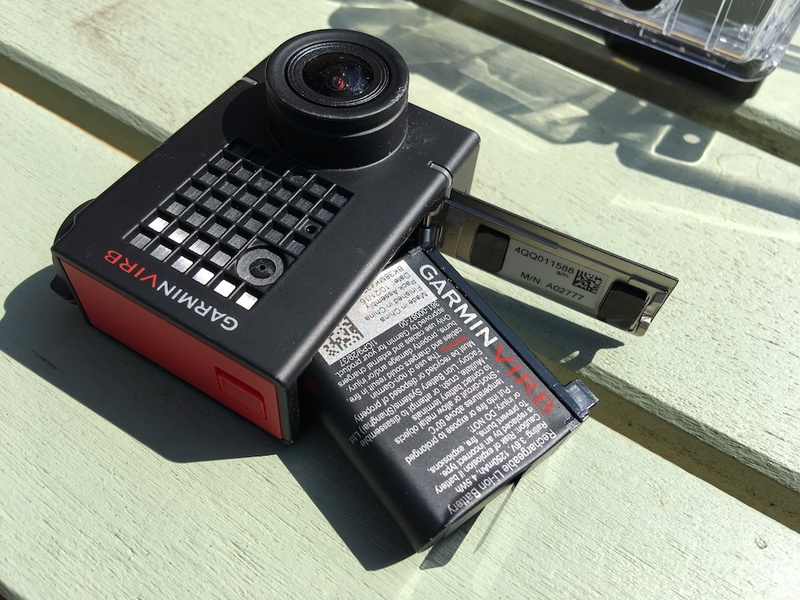 Garmin has been in the action camera market for three generations of their VIRB camera, each time, improving slightly on the previous design. With the original Garmin VIRB, we had a very odd sling affair for mounting the device. 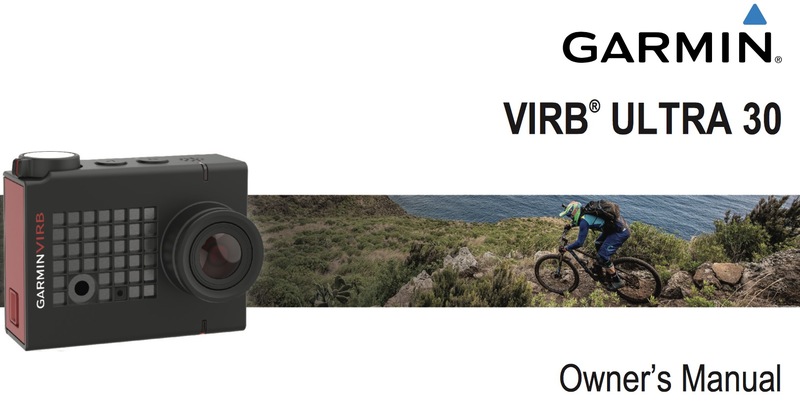 The Garmin VIRB XE built the camera directly into the protective case, and now with the VIRB Ultra we have a truly grown up action camera from Garmin. Other companies have steadily been eating into GoPro’s territory over the last few years. 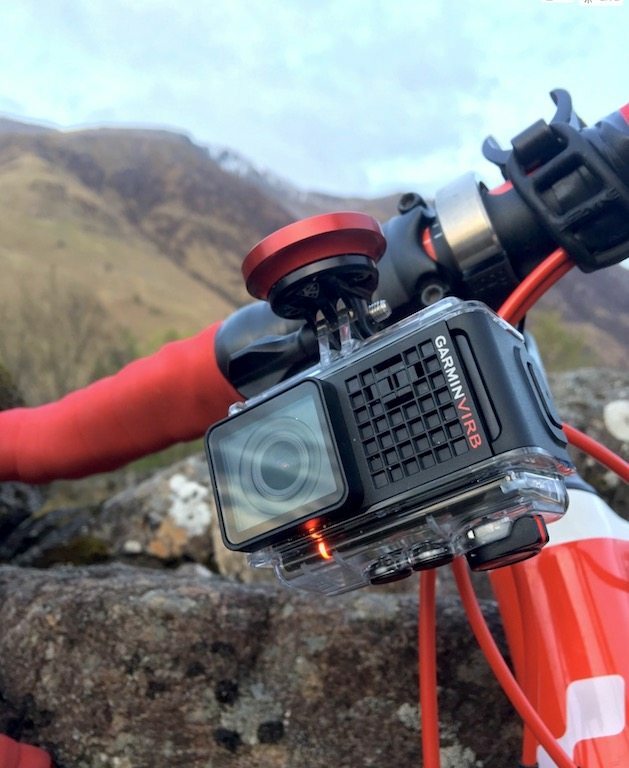 The Fly6 rear camera and Fly12 camera and bike-light-combo, have been stealing the casual and safety conscious cyclists, while Garmin has been moving from a cycling centric device to a much broader action camera. 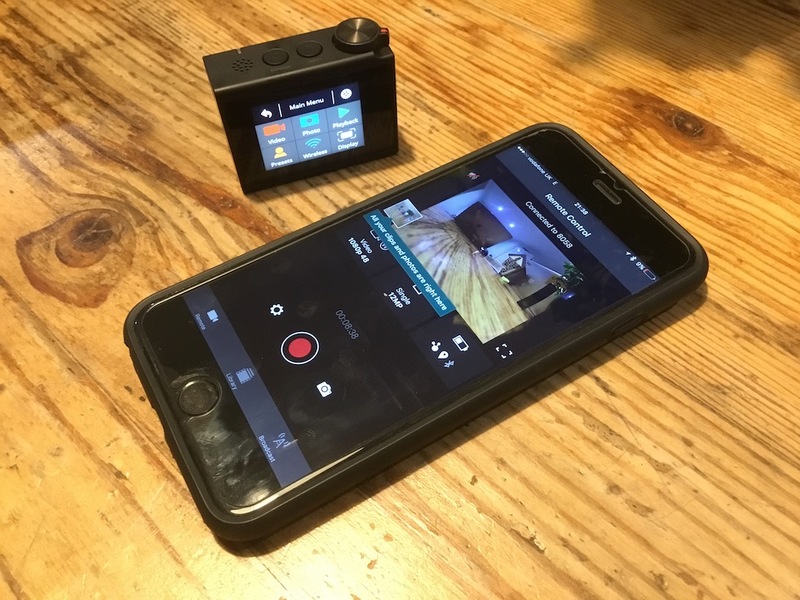 With the latest Garmin VIRB Ultra, it’s clear that Garmin doesn’t want to play catch up anymore, but instead wants to be a leader in the action camera market – can you say YouTube Live streaming? 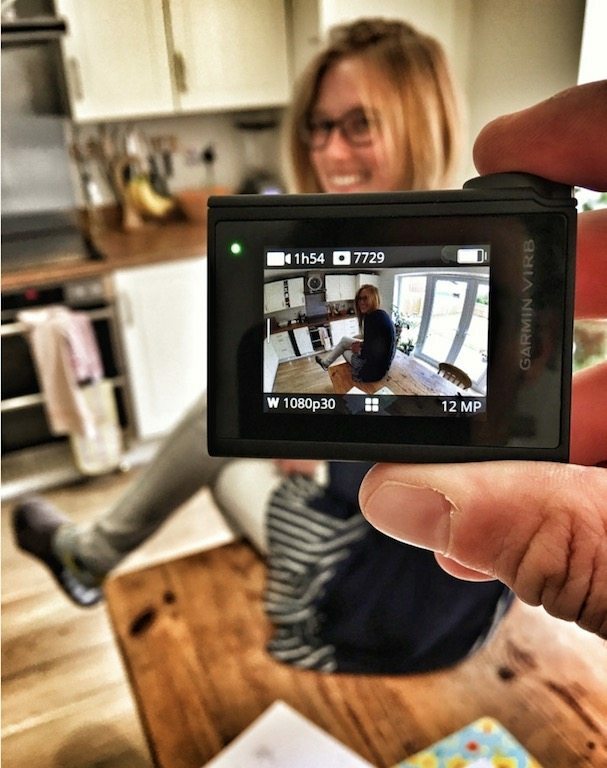 So what are the headline features the new Garmin VIRB Ultra is bringing to the party? But bells and whistles are only any good if they are actually accessible and functional for the end user, and Garmin can sometimes forget that slightly. The Garmin Connect app is one of the less user-friendly sports apps available. 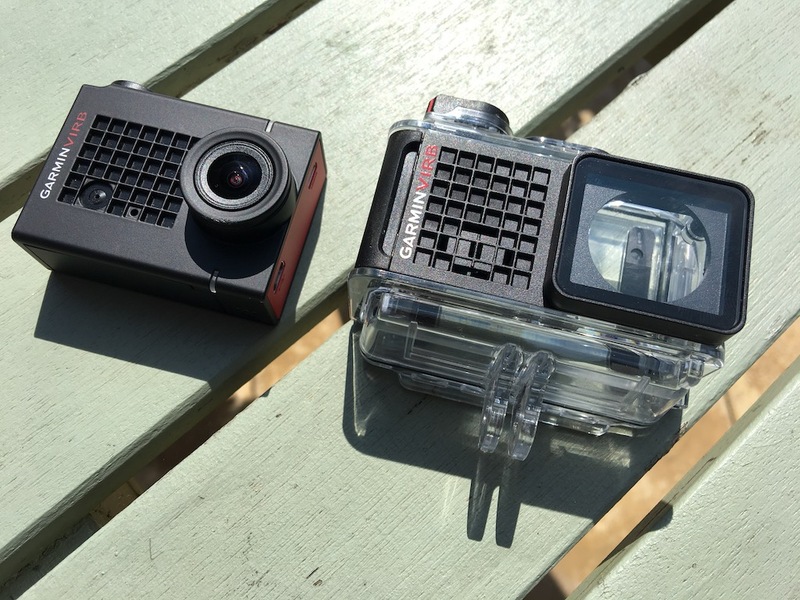 So the question really is should GoPro be scared of the new Garmin VIRB Ultra? ?… Quite possibly! 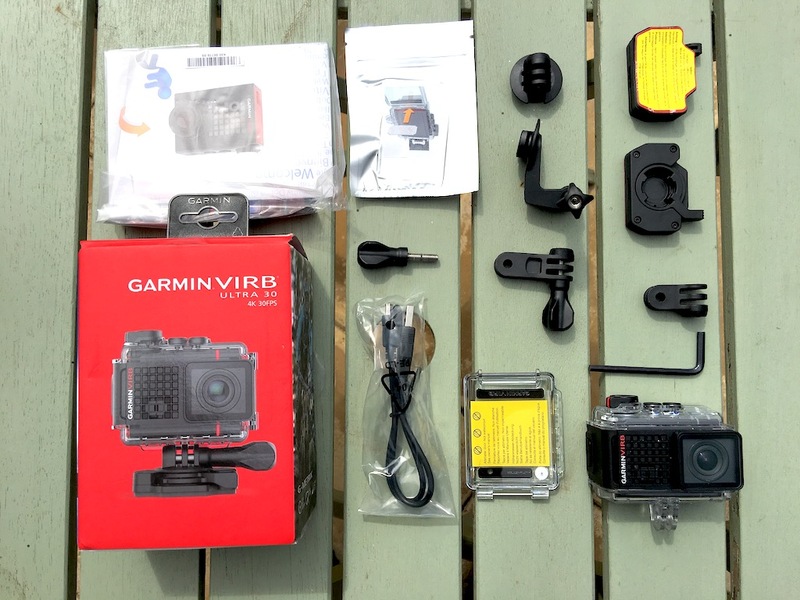 Garmin VIRB Ultra – of course. Top door; for watersports: solid, tight to 40m / 4ATM – but then the barometric sensor does not work. On the top, we’ve the speaker grill, simple and chunky power, and wifi buttons, that are also used for navigating the camera menus. 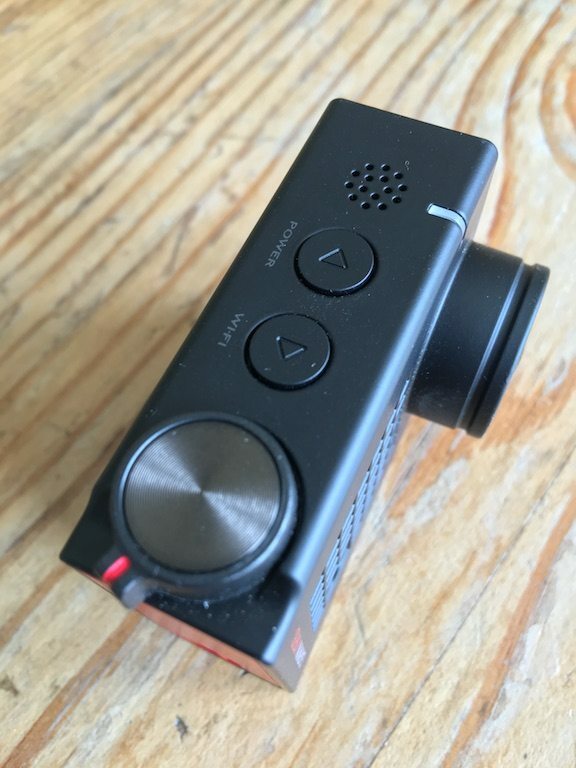 We also have the toggle switch for recording, and a shutting for taking photos. These are both reflected through the housing. The top buttons allow you to access all of the settings and functions which you can do with the touchscreen, should you not be able to use the touch screen – e.g. it is pouring with rain when doing your recording, or you are using the camera in a wet environment such as dividing or kayaking. 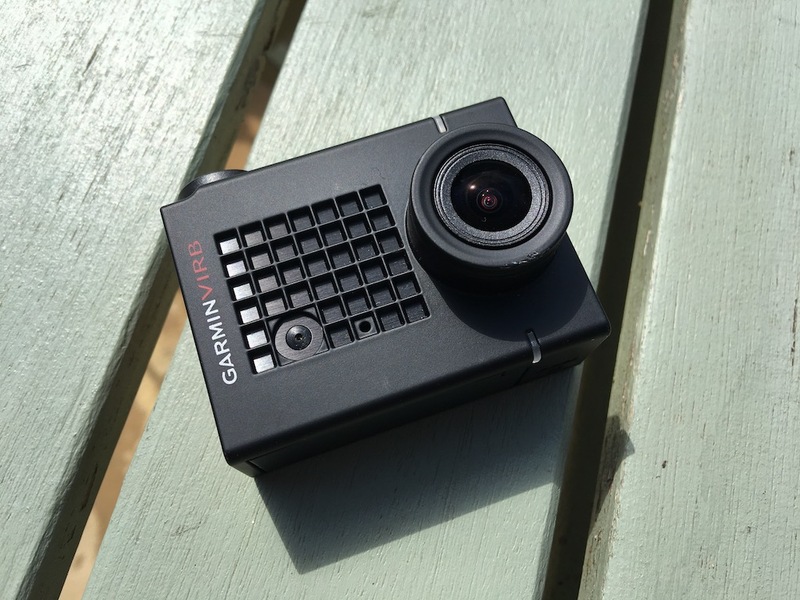 Whereas the new Garmin Virb Ultra is a small discrete camera that can be used without the case (although not in an action camera way). 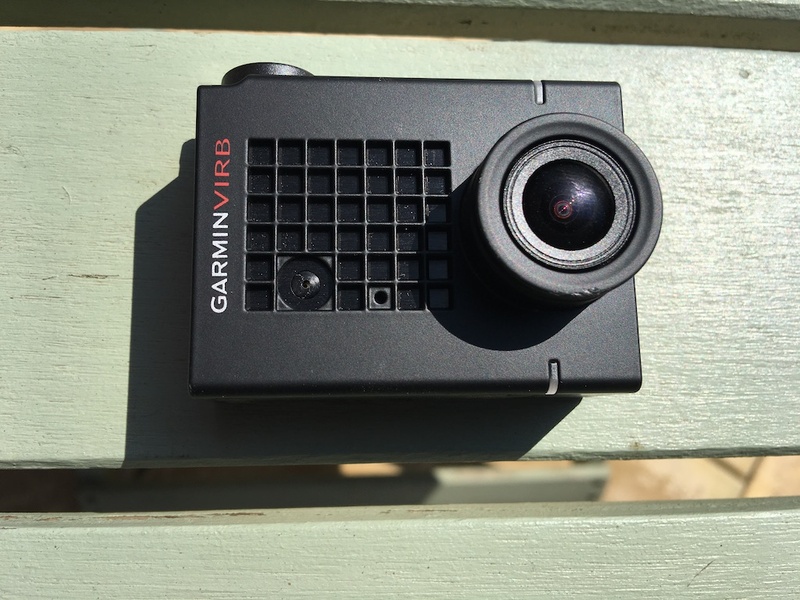 However, you view it the Garmin Virb Ultra is a distinctly separate unit to the case now. When the Garmin Virb Ultra is weighed with the case, and no mount, we’ve seen a small weight INCREASE to 159 grammes, hence the slight disingenuous specs on Garmin’s site. 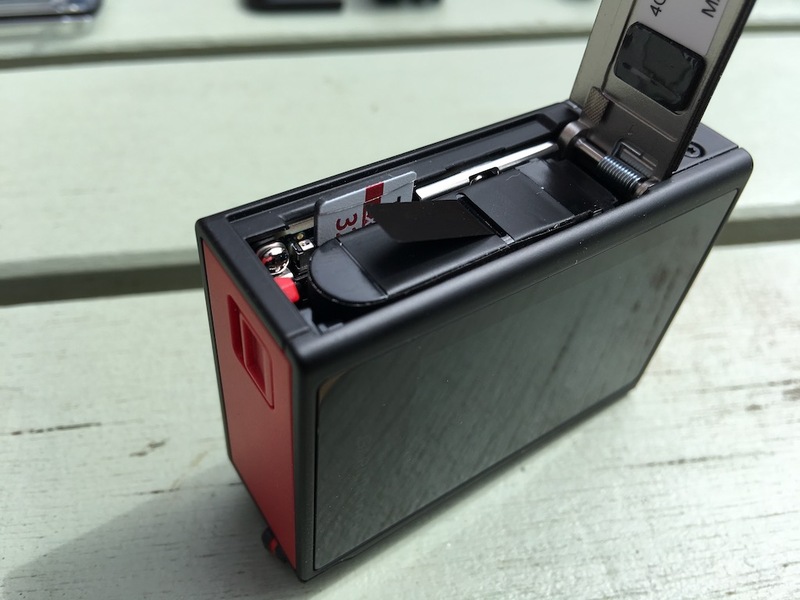 To swap the battery, insert the SD card, anything like that, you have to remove the camera from the housing, and flick a little switch on the side, which will open up the back hatch. 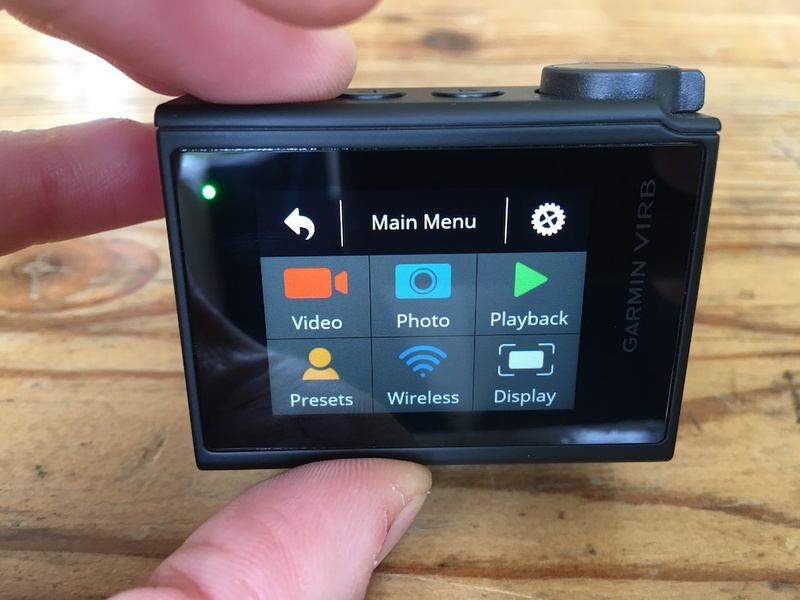 The back of the Garmin VIRB Ultra now houses the very pretty touch screen. Garmin has ensured that the case as well is touchscreen compatible, so you can still operate the unit when attached to a mount. I was a little surprised that in the standard box there wasn’t a bike mount. Several helmet mounts, but nothing to easily sling on the handle bars. Now to be fair, there is quite a large debate on the best place to position a road bike camera… but personally, I’m not a fan of mounting on the helmet. Personal preference, and in my opinion, it makes it more likely I’ll bang the camera! Currently only on iOS and a guaranteed way to ensure that your mobile provider loves you forever due to the data usage you’ll rack up. 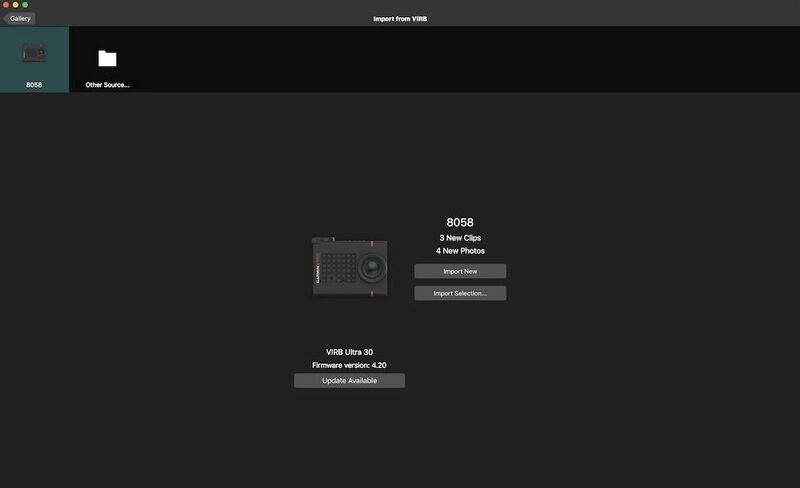 Simply pair the Virb over Wifi to your phone. 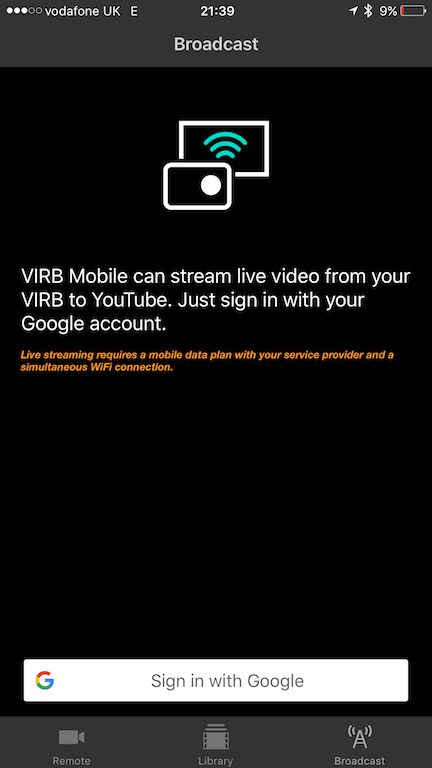 Then connecting to YouTube streaming is very simple, you merely connect the app to your Google Account, load the broadcast details, and choose your upload quality. 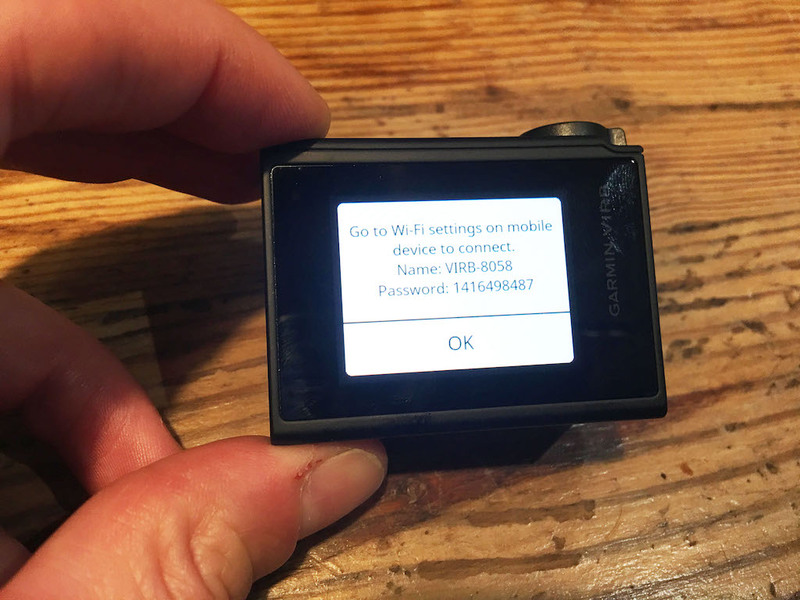 Given the likelihood that a user could potentially run up a large mobile phone bill without intending to, it is a small thing, but at least Garmin gives an indication of how much data you’ll be using, roughly, in a given period. 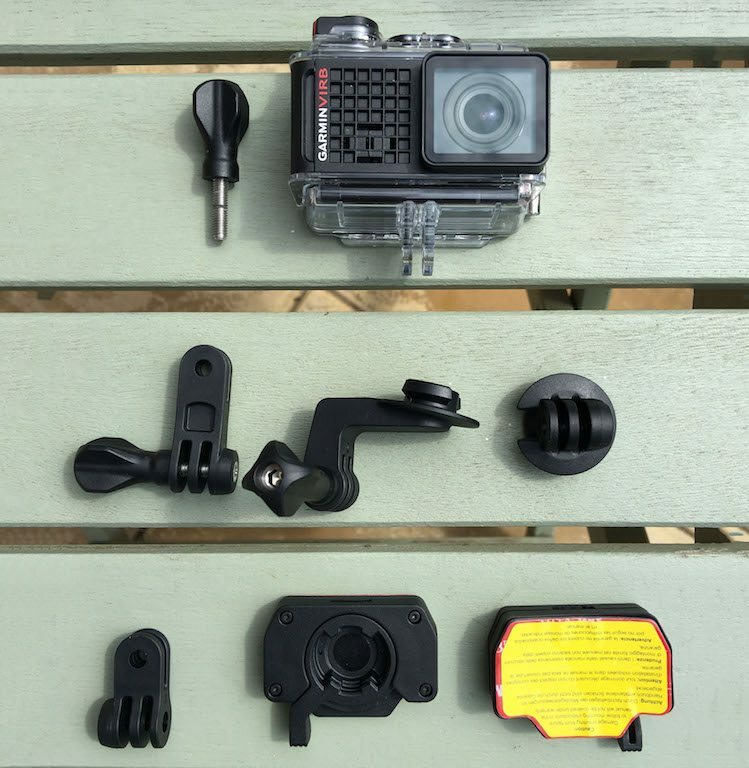 On the bottom of the VIRB case is a GoPro compatible mount, to allow you to attach to just about every other mount on the planet. I do like it when companies standardise on a single mount, for example, it makes consumers lives so much easier! 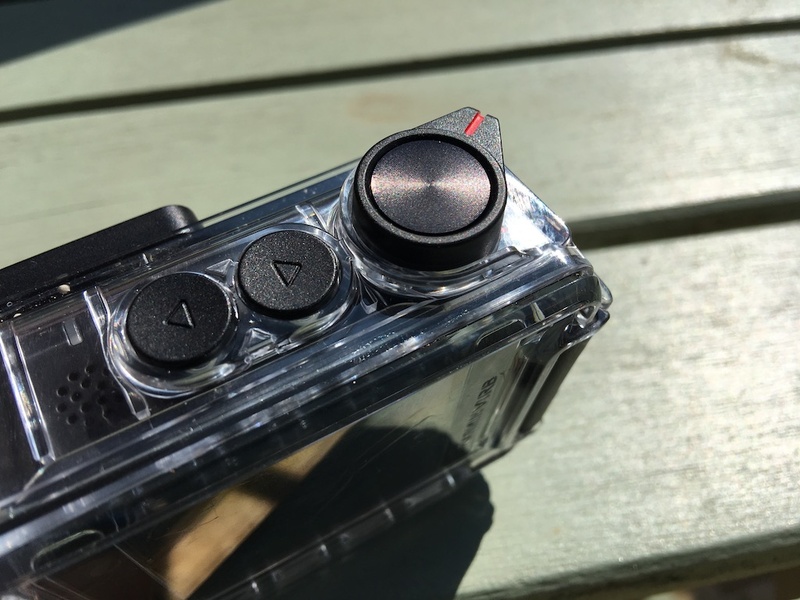 As mentioned the actual toggle system for the shutter/recording on the Garmin VIRB Ultra is great. But Garmin have also decided to build voice activation into the unit. 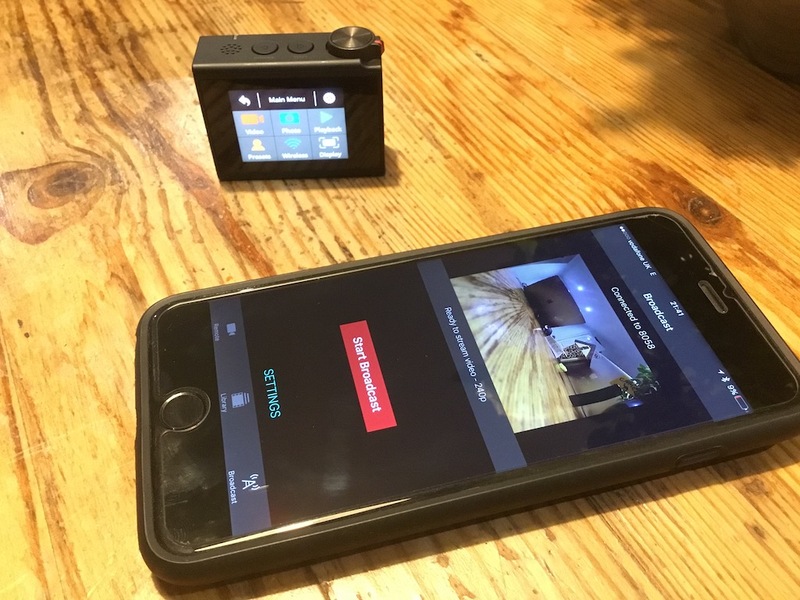 Using the same approach as Google, with an “OK Garmin” command you get the unit to take a photo, start recording, stop recording, or insert a marker to your recording for easier finding later. I didn’t think that I was really very fussed about this feature, but actually, the ability to yell “OK Garmin! Take a photo” does work when cruising down a hill towards the sunset, although not too well if you are bombing along – wind noise and all that!. When it does work the system, it is great, but when you are shooting along at speed on the bike, using a Garmin Remote attached to the handlebars is a much better route! Using the touch screen is a much better system, pull the padlock to unlock with your finger, and then follow the simple grid menus. 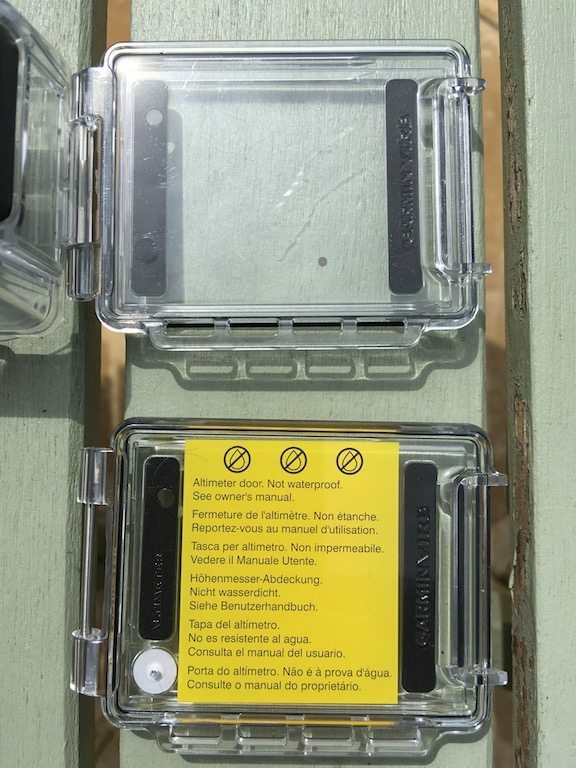 Given that Garmin has opted for a capacitive screen, I’m genuinely surprised how easy it is to use the system when the camera is in the case – assuming you haven’t gotten things wet, but as mentioned above, then you’d just use the standard buttons. 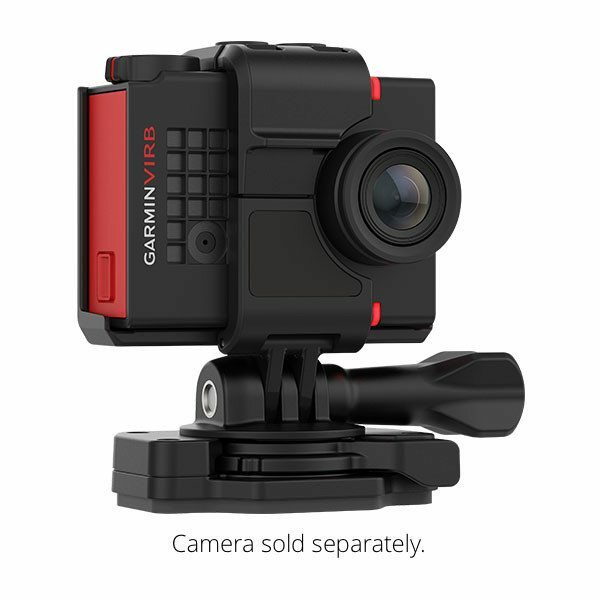 Downloading the videos from the Garmin VIRB Ultra, you need to ideally use the Garmin VIRB software. 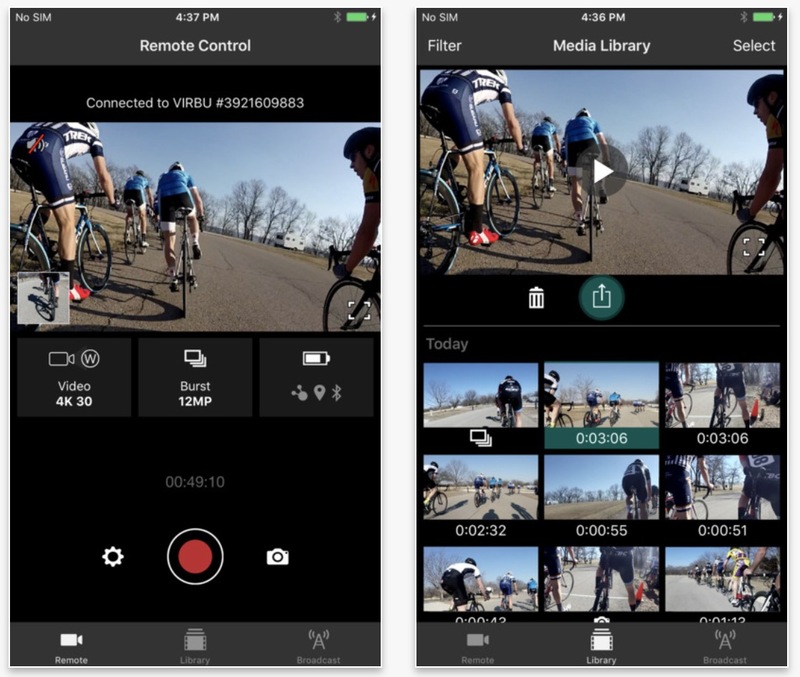 As I’ve already mentioned in the original Garmin VIRB review, the software is terrific, so you’d probably have to be a videographer, or have a very particular set of video import requirements not to opt to use the software. One major omission from Garmin here does relate to the above YouTube broadcast. None of the data overlays which are so effective, are available when you are doing a YouTube stream, instead, just limiting you to a simple video, which is a shame. But hopefully something which can be easily added to the iOS streaming software before long. The film from any action camera is the real reason for the device review, and here are my videos. As with the GoPro Sessions review, the videos are a spin around Walton Hall. I choose this route for videos as I like it, has varied lighting elements to test exposures, and several areas of detail, such as around the Hall its self. 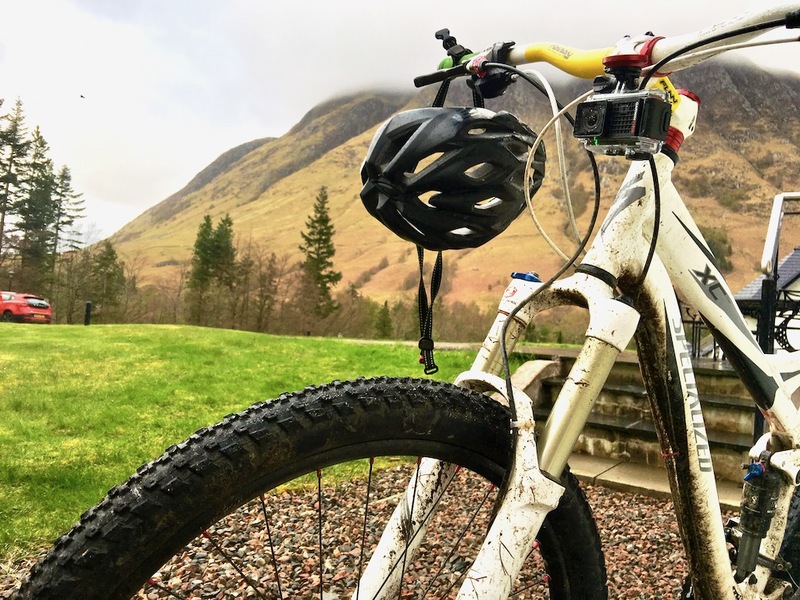 Here I’ve mounted three cameras to my handlebars…but ran out of mounts, so had to directly lash the GoPro Sessions to the bar – I did say that the small size of the unit is going to allow people to do extra things with the camera! I don’t think I would have liked to have done the lashing with either of the other cameras due to their slightly greater weight. I don’t think you are going to get more of a difficult sound to “box” than that of a roaring waterfall! I really like the Garmin VIRB Ultra, I liked the XE before it, so that it not a great surprise. 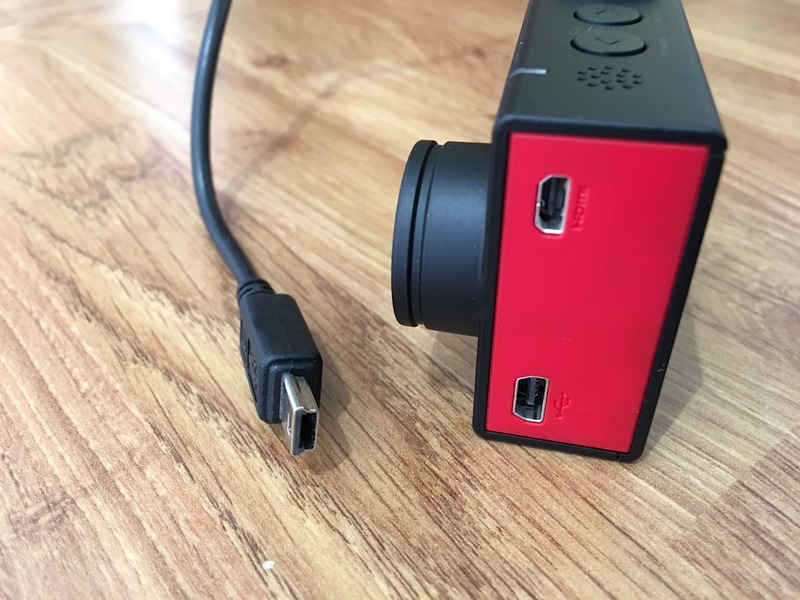 I think one reason being that it is clear that Garmin is really developing their action camera. Now the unit isn’t perfect. 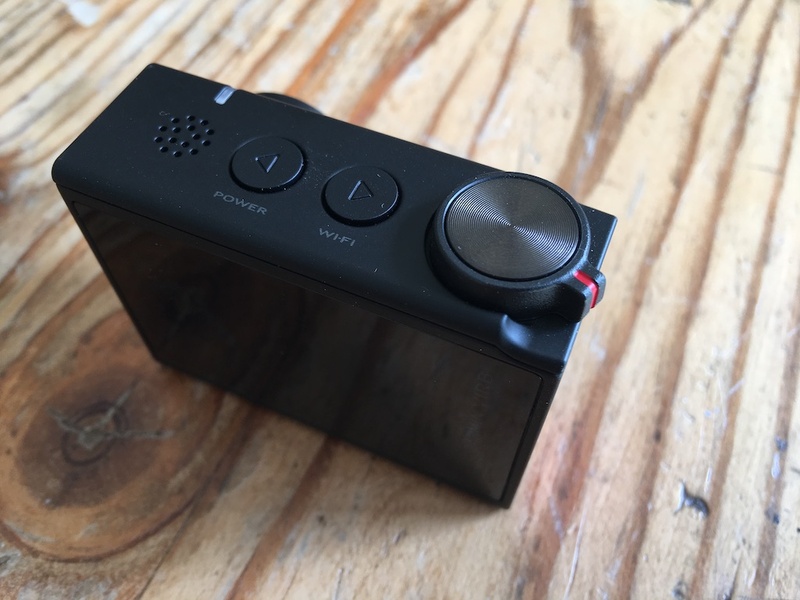 The voice activation is nice, but from a cycling perspective isn’t great, I’d have been happier with a remote in the box. However in that same breathe, Garmin have not included a BIKE mount in the box – frankly I think that is a little bit of a shame, but I feel it does highlight that the Ultra is focused on a much larger market, and that cyclist is “taken care of” when the helmet mount option. The touch screen had improved on a few of the minor niggles I had with the VIRB XE, regarding seeing the setting on the camera when it was upside down on my bars! Want to take a photo mid-activity, press the button. Want to check a setting, glance at the screen. Want to start videoing? Throw the great big toggle switch. Easy. 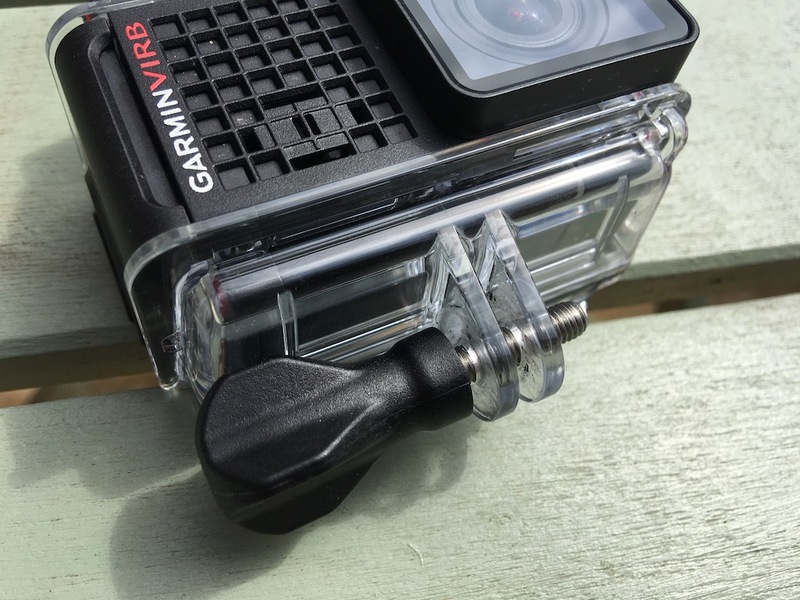 As a cycling camera, I’d put the Garmin VIRB Ultra as 4/5, so many good features, several great implementations, let down by there being no cycling mount in the box… That is me being a little mealy-mouthed, as many action cameras don’t come with cycling mounts. 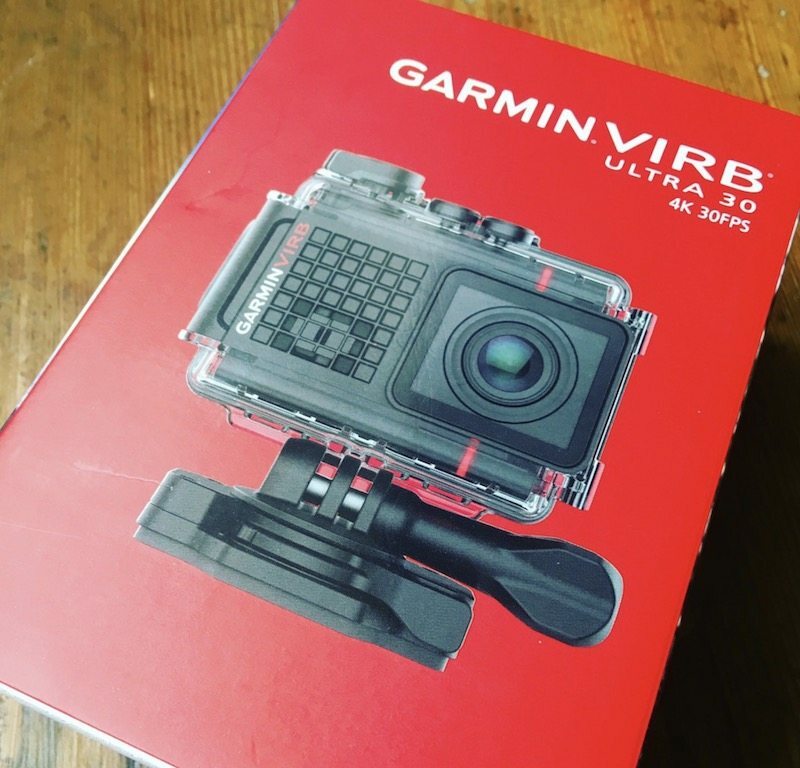 So when you take into the price £330 for the Garmin vs. £345 for the GoPro Hero 5, I’m going to award a fairer 5/5 – yes the Garmin VIRB Ultra is really that good!